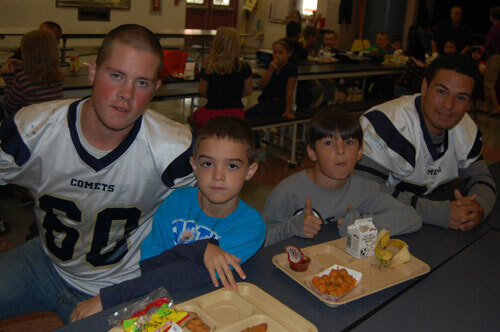 Penn Manor High School football players are spreading the message to elementary students that reading is important. In its second year, the football literacy initiative program encourages elementary students to read every day. To help reinforce this message, the football players visit elementary schools during lunch to talk with them about reading. The program runs from September 15 until October 25. Elementary students are encouraged to read for at least 20 minutes every day and keep a participation log. All students participating will be invited onto the football field during the October 26 football game. They will also receive a signed photo of the team.